The news of an animated Spider-Man movie being produced by The LEGO Movie helmers Phil Lord and Chris Miller came as a bit of a surprise. It was announced shortly after Spider-Man's involvement in the Marvel Cinematic Universe really began to take shape, and it was unclear how this would fit in with what Marvel was doing with the character in live action. As a result, I think many of us kind of disregarded the project. I know I was a little put-off that Lord and Miller were doing an animated Spider-Man movie, since I thought they were a perfect fit to direct the then in development Spider-Man: Homecoming. But time passed, and we didn't really hear anything about the project until we got our first teaser, which caught me off guard. The animation style was completely different from what any of us were expecting, and it just looked kind of weird. I didn't think it necessarily looked bad; it just was not what I was expecting at all. It was something that I filed in the back of my head as something to reassess once we got a better look at the film, in the form of a new trailer. And now we have the second trailer for Spider-Man: Into the Spider-Verse, which opens in theaters on December 14. I'm surprised by just how much I like this trailer. It's different, and I think that's the best thing it can be. The animation style threw me for a loop with the teaser because I wasn't expecting it, but with this trailer I really embraced it. It's very comic booky, and that really works for this. It stands out as its own thing, and I love that. It feels unique and different, and I believe those qualities are really going be what attracts people to see this film. The voice cast is outstanding. You have Shameik Moore (Dope) as Miles Morales, Jake Johnson (The Mummy) as Peter Parker, Hailee Steinfeld (The Edge of Seventeen) as Gwen Stacy, Mahershala Ali (Moonlight) as Aaron Davis, and Liev Schrieber (X-Men Origins: Wolverine) as the Kingpin. That is an incredible line-up, and I think it will only add to the movie. I really like that Miles Morales is the lead in this film. I know when they announced they were rebooting Spider-Man for the MCU, a lot of people wanted it to be Miles Morales, which I never thought was a good idea. Peter Parker has sixty or so years of comic book history, whereas Miles Morales has only been around for a short while. Plus, the general movie-going audience only knows Peter Parker. But for something like this, having Miles Morales be your lead works completely. It's a great way to introduce the character to the masses without confusing anyone who didn't know that anyone other than Peter Parker has been Spider-Man. Spider-Man: Into the Spider-Verse was barely on my radar before, but now it's one I'm really looking forward to seeing. What do you think? 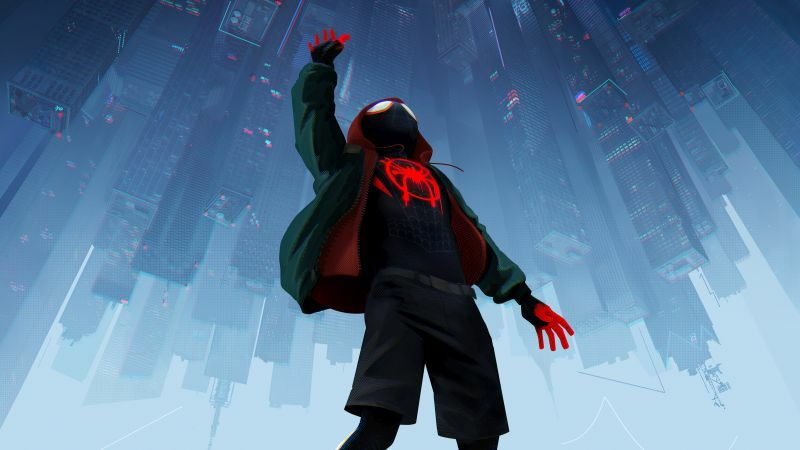 Did you like the second trailer for Spider-Man: Into the Spider-Verse? Are you planning on seeing the film? Leave your thoughts in the comments section below.